A 401(k) is a company-sponsored pension plan that was established by the Revenue Act of 1978. 1. Is There a Limit on the Number of Times You Can Sell or Buy Stock in a 401(k)? 3. What Is the Limit You Can Put in a 401K if You Are Over 55? Depending on the specific 401(k) plan that your company offers, you may be able to invest in a variety of different properties, including mutual funds and individual stocks. Some companies offer their own stock to employees through their 401(k)s, but may limit other purchases to mutual funds due to the administrative cost to the company of allowing employees to buy and sell individual stocks in other companies in their retirement accounts. 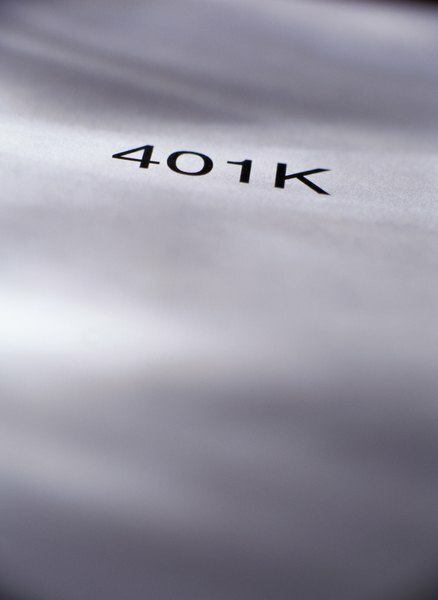 If you work at a publicly-traded company, it may offer company stock at a discount for purchase in your 401(k) plan. It may also make any matching contributions to your account in the form of company stock as opposed to a cash contribution. Some companies allow employees to make a higher percentage contribution only if buying the company stock. All of these actions provide employees a feeling of ownership in the company. One of the major advantages of owning stock in the company for which you work is that when the company does well financially, your portfolio realizes a benefit as your stock increases in price. Of course, the opposite is true as well. In either case, the movement of a company's stock can have a direct effect on the morale of the employees who have invested in the company. While showing support for your organization is an admirable trait, having all of your eggs in one basket isn't a trading strategy that very many investment advisers would suggest. A wider array of investments would be a more sound strategy for your retirement account. If your company allows you and your fellow employees to invest in company stock in your 401(k) accounts, and particularly if the company provides matching funds in the form of stock, you may find that you face significant restrictions if you wish to sell part of your company stock. Federal law mandates that employees be allowed to sell company stock that the employer provided as a matching contribution after three years. Companies may be able to restrict your ability to sell if you lose your job. No matter whether your company allows you to buy or sell individual stock, mutual funds or other investments, check with your fund management company to see what fees they will charge for buying, holding or selling your securities. Some plans charge for fees for any transaction, and some mutual funds even charge a percentage of your entire account annually for participation in the 401(k) plan. All fees should be clearly outlined by the fund management company and by each individual fund prospectus, so you can know about any expenses before you decide to buy or sell.